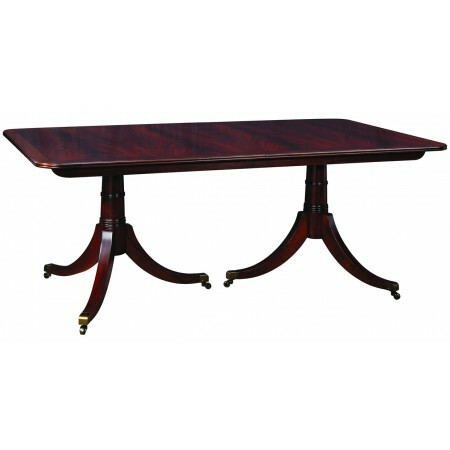 Based on the designs of 18th century English dining tables, the Haverford Dining Table has a solid mahogany top with radius corners and a reeded edge. Top is supported by two pedestals each with three legs that culminate in brass casters. 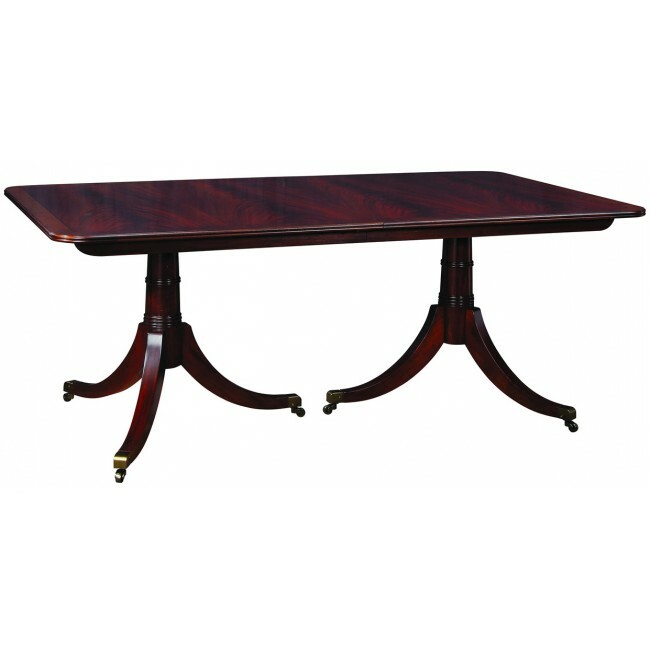 Three 16” aproned leaves extend the table’s length to 126”. 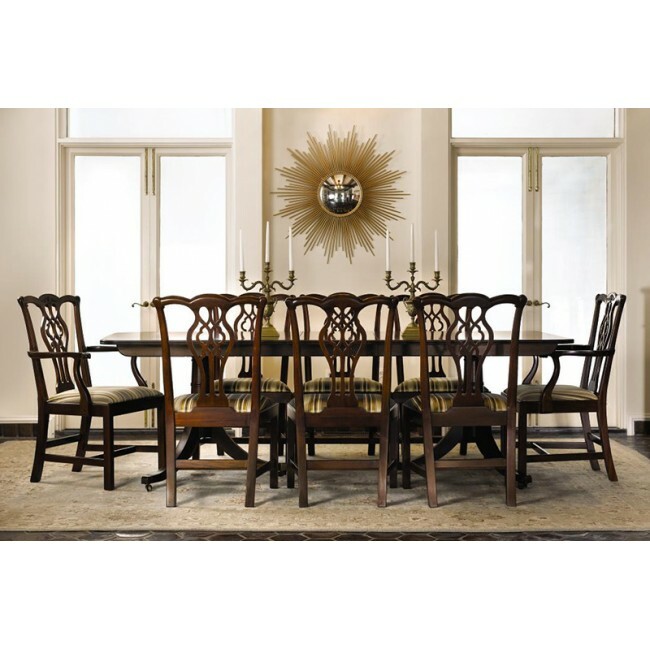 Available in solid mahogany.